MANUEL, Geraldine “Gerry” West, 93, of Brooksville, Florida, passed away Monday, March 25, 2019. She was born August 22, 1925 in Otter Creek, Florida and came to Brooksville 64 years ago. 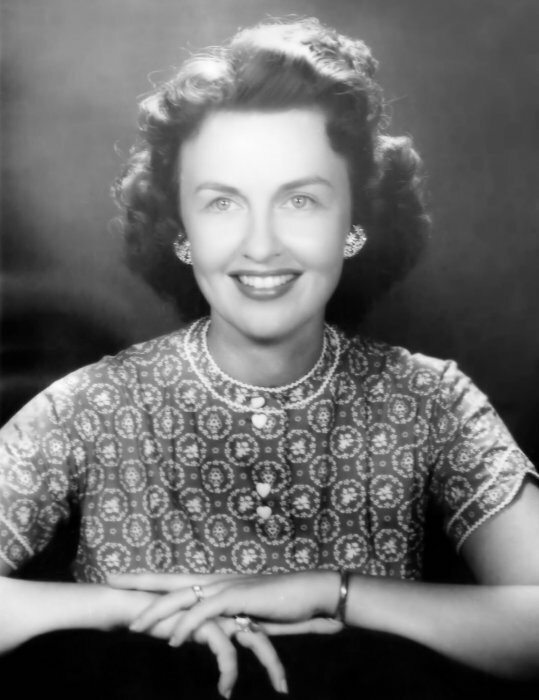 She retired as an Executive Secretary with Florida Mining & Materials and also worked at Roger's Christmas House. She was a member of First Baptist Church of Brooksville. She is preceded in death by her husband, Stephen F. Manuel, parents, Bert and Ruby West, sister, Elizabeth West Arnold, and recently deceased daughter, Cynthia Manuel Snow. She is survived by her son, Steve Manuel (Barbara); son-in-law, Robert Bruce Snow; grandchildren, Molly Elizabeth Manuel, Matthew Steven Manuel and Robert Bruce Snow II. A Visitation for family and friends will be held from 10:00-11:00am, Tuesday, April 2, 2019 at First Baptist Church of Brooksville, where Funeral services will begin at 11:00am. Burial will be private. In lieu of flowers memorial donations may be made to Alzheimer’s Association.